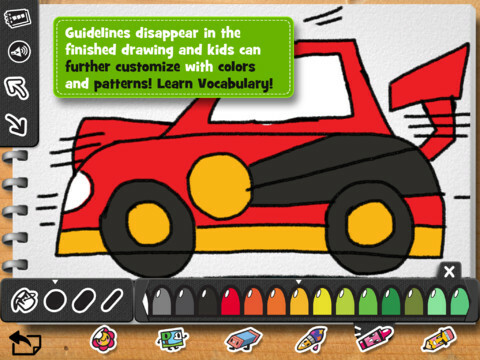 Perfect way to introduce drawing skills to kids who love cars, trucks, planes and trains! 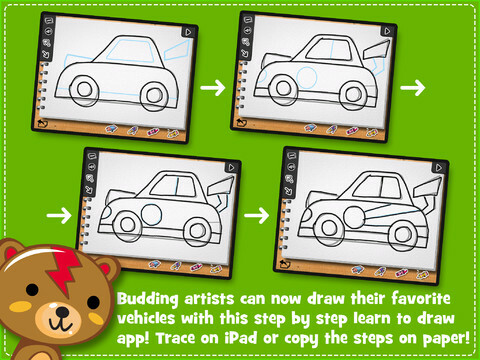 Kids can learn to draw 20 favorite vehicles either by tracing or following the steps on paper! With many options to customize such as coloring, backgrounds and stickers, the app will keep kids busy while they learn very important skills. Intimidated by blank pages? This app is for you! It not only teaches you how to draw and improves your self confidence but also gives you many customization options to flourish your creativity! 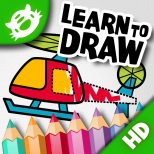 iLuv Drawing apps offer an educational and creative value beyond just coloring apps; or drawing apps with blank pages; or how to draw apps with limited choices and features! ✔ Learn to draw by tracing over step by step templates. ✔ Very intuitive and easy to use interface. 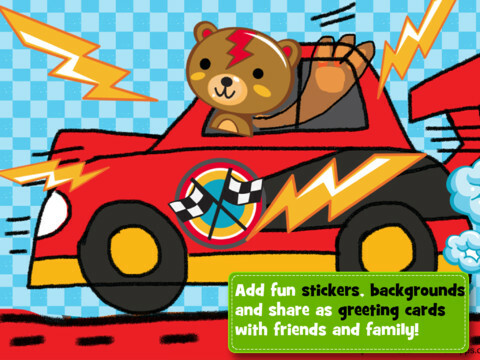 ✔ Friendly audio instructions help kids learn important vocabulary about their favorite vehicles. 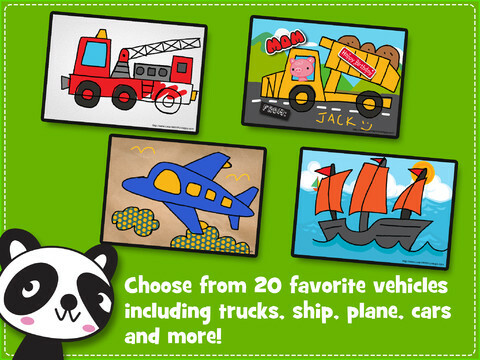 ✔ 20 cute cartoon style vehicles to choose from, such as car, race car, dump truck, cement truck, pick up truck, fire truck, crane truck, helicopter, airplane, fighter jet, ambulance, bicycle, tricycle, motorcycle, train engine, jeep, boat, and ship. ✔ A vibrant coloring pallet to color the finished drawing. ✔ Many custom backgrounds and textures to add to the finished drawing. ✔ Add fun stickers to the drawing, includes stickers such as “Mom”, “Dad”, “I Love You”, “I Miss You”, “Have Fun” etc. ✔ Editing tools such as eraser, redo, undo, start over. ✔ Save in a drawing book or photos. ✔ Ability to edit the saved drawing. ✔ Blank pages to practice what you learned or freehand drawing.